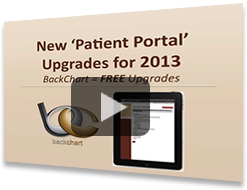 Optimize your practice with our web-based Patient Portal. Our web-based Patient Portal helps your office save time and enjoy greater convenience by collecting necessary patient demographics and quality-of-care measures. Our focus is to help you optimize your practice. 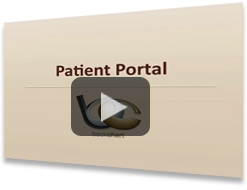 Every patient is emailed portal access. On their portal they can view their next appointment, check their medications list, allergies list, problems list, and labs. Reception staff is also able to log into the portal and check patients in using an iPad, tablet or computer. 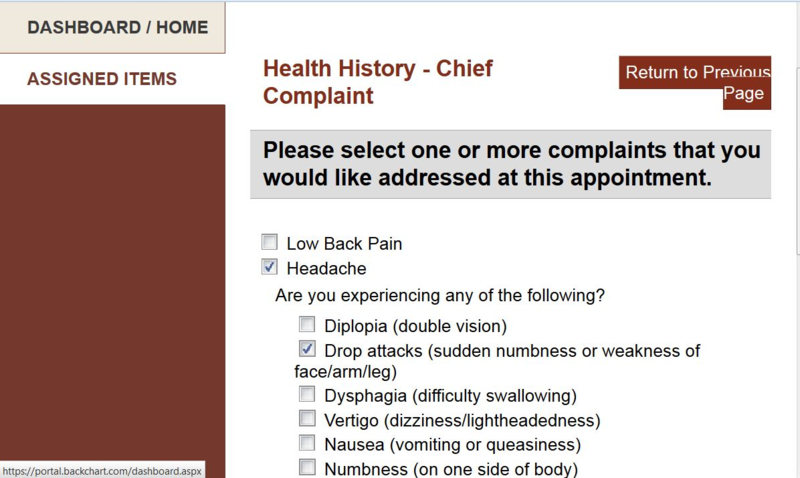 On an electronic device, each patient will then be able to update their demographics and complete assigned surveys before being seen by the Doctor. Watch our video on the new features we've introduced for 2013. 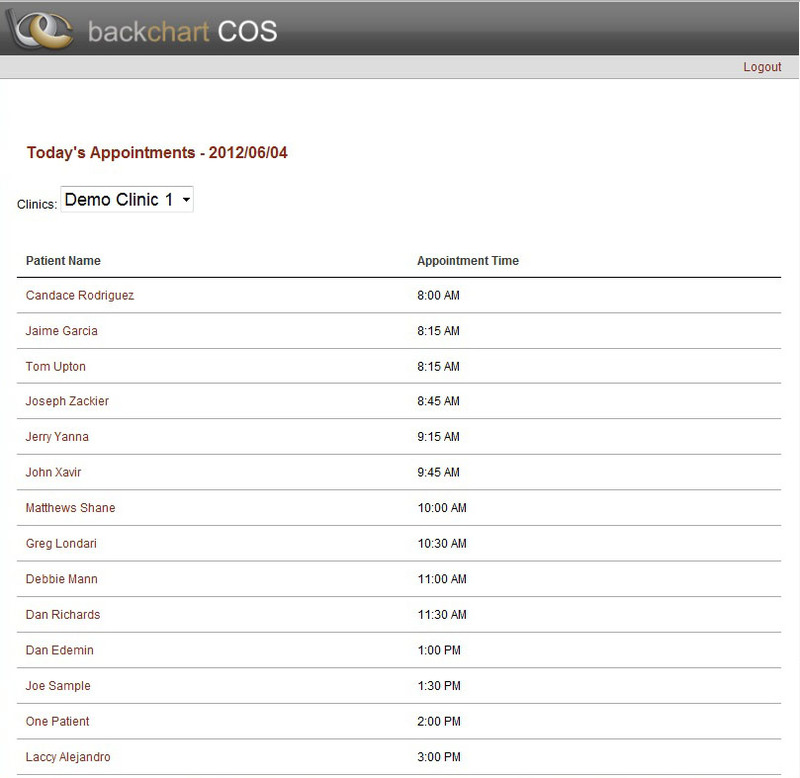 Patient intake information can easily be completed & updated by the patient and will save the front desk time. This patient demographic information is then quickly updated by office staff. Patient demographic information includes important meaningful use and insurance information. Quality-of-Care measures can be easily completed by the patient and will save the clinician time & energy. There are several quality-of-care measures that include everything from low back oswestry to headache index. 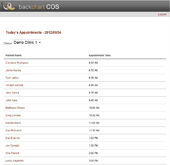 Reception Check-In helps optimize your office and creates an enjoyable experience for your patients. Office staff can log in using an iPad, computer kiosk, or tablet and then hand the device over to the patient to complete their intake information & surveys. Patient Email Access helps engage patients when they are not in the office and builds loyalty to your practice. 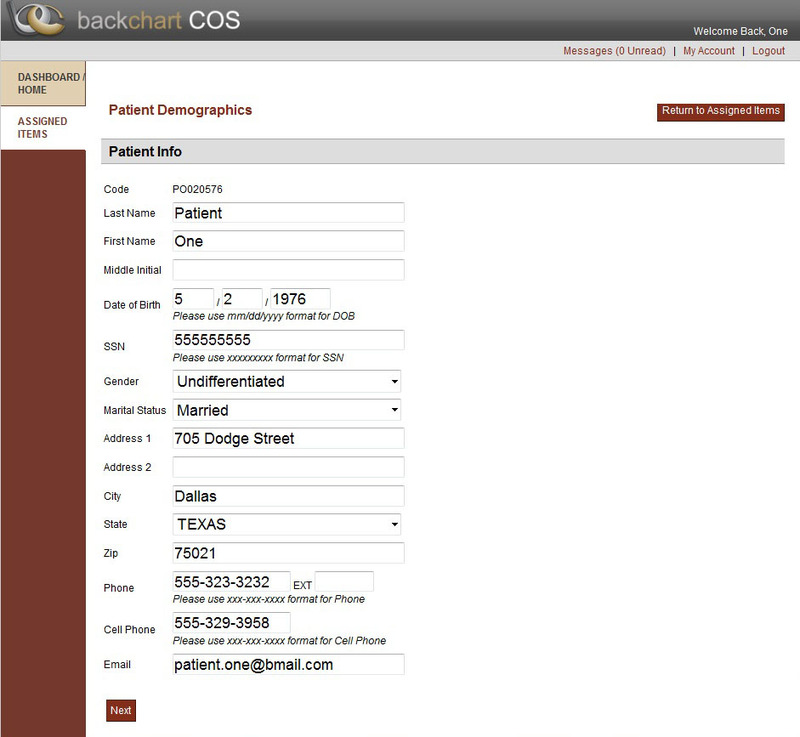 Every patient is emailed access to the patient portal. In the comfort of their own home patients can check their next appointment, complete intake information & surveys. Digital authorization forms streamline your paperwork. 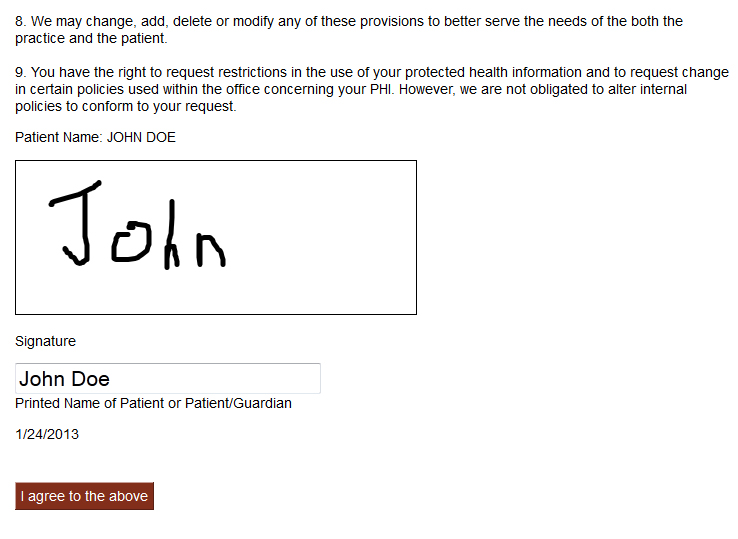 Office staff can log in using an iPad/tablet and then hand the device over to the patient to digitally sign authorization forms including both HIPPA & consent forms. No longer worry about scanning or loosing important signed forms! 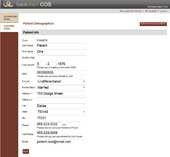 Health history forms help your patients easily finish their intake information at home or while in your waiting room. Questions on the forms can include: chief complaint, pain scales, health history, family health history, work habits, exercise habits, life habits, medications and medication allergies. Easily import this health history information into your initial exam to get a jump start on your patient chart!